It’s hard to ignore the enticing $20 per hour massage signs as you drive through Chinatown. But what’s really behind those glowing massage signs and gated doors. Can you really get a good massage for $20 or are you really getting more than you bargained for? Sometimes getting what you paid for can be a really bad thing. Several years ago, Asian massage parlors began popping up throughout the Asian towns in San Diego and other communities at a very fast pace. As soon as a sign went up promoting a massage for $30, just minutes later less than a block away another sign would go up promoting a $25 massage in what would be known as the Asian massage price wars. Now you can get a massage for as little as $10, but do you really know what that $10 buys you. 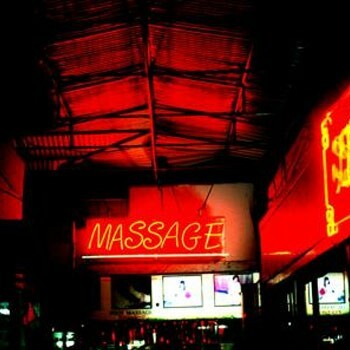 Read on discover the hidden truth that Asian massage parlors don’t want you to know about. HIDDEN TRUTH #1: If they are charging so little, how much can the therapists make? Well first of all, let’s read into the word massage therapist. To become a massage therapist, they have to undergo hundreds of hours of studying and hundreds of hours of hands on technique. They also have to pass a rigorous exam and become licensed. So how do these massage parlors hire massage therapists for so cheap? The answer is they don’t. If you’re charging $10 per massage, it’s impossible to hire licensed massage therapists so they end up hiring regular unlicensed individuals that know the basics of giving a rub-down. And then they primarily make their income directly from their tip. Go ahead and try to tip them a small amount and see what happens. If the therapist knows that they will only make money from the tip, and you tip them a very small amount, the look of disgust that you may get from the therapist could put even the most thick-skinned individual into a very uncomfortable position. So calling them therapists is definitely a misnomer. When you get a $10 or $20 massage at most Asian massage parlors, just assume that you’re getting a rubdown from a regular person that just a week ago worked as a chef’s helper at a small restaurant. HIDDEN TRUTH #2: The place seems a little dirty. Is it clean? If you consider flipping the sheet over in between customers as cleaning, well I guess you can call that clean. The reality is many of those massage parlors don’t replace the sheets between customers. They just look at the sheet and if it looks clean then they assume it must be clean. Remember, if they’re willing to charge so little for their service, they will do everything possible to cut corners and make up for any losses. And the easiest way to do that is to save on utilities such as water so washing the sheets and towels turns into a weekly event. The sheets and towels are supposed to be washed and replaced after each and every customer. A well known condition that you may find at some of those massage parlors is scabies. Scabies is an itchy, highly contagious skin disease caused by an infestation of mites. Placing your face into a towel that’s full of these mites can seriously ruin your day. HIDDEN TRUTH #3: If I shine a fluorescent light on the sheet, what will I find? HIDDEN TRUTH #4: How about those memberships massage parlors? Are those better? The first question you may want to ask is “why should you have to sign up for a membership just to get a massage or a discount?” The reason is similar to gym memberships. They make most of their money from the membership and even many times hope you don’t come in for the discount so they can continue making more money from the membership. What you’ll find when you visit these places is that on your first visit you’ll be hit with a sales pitch to sign up for their membership. This is a sure sign that the establishment may not be right for you. You shouldn’t have to be locked into a membership just to get a great massage at an affordable price. You’ve got enough bills auto-debiting your bank account every month. Massage should not be one of them. Want to learn more? Read “Dirty Massage Parlor Secrets Exposed” for some more insider secrets. Remember, if you want a great massage without the spa prices, check out Happy Head Massage. The therapists are some of the best in their field, the facility is super clean, the staff is professional, and the prices are very affordable. A massage should be a relaxing and enjoyable experience. Let the Happy Head ensure that your massage is the best it can be. Say NO To 50 Minute Massages!